My work incorporates an amalgam of art making materials, techniques & processes and thematic concepts that capture my interest. 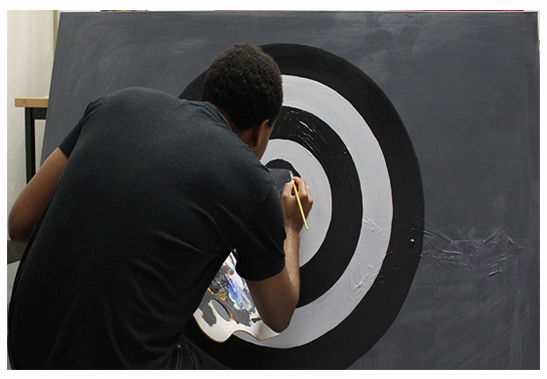 Primarily, my work engages with an on-going exploration of issues of identity, self and pop culture. 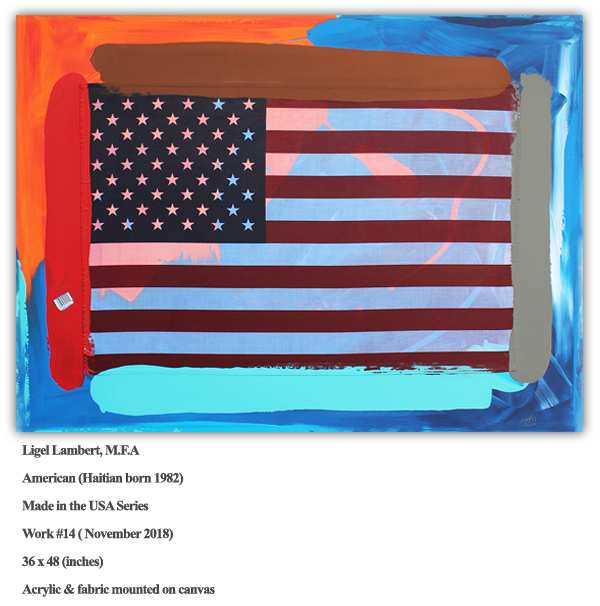 My current body of works, which I refer to as “Made in the USA” series, aims to place the specific iconographic significance of the use of the American flag in juxtaposition to self - identification in American contemporary culture. These works mostly allow me to explore my relationship to my identity and others that are similar to mine. My “Made in the USA” series explores the expectations, which perhaps, is associated with this identity. The interplay with facet of serendipitous combinations of colors combined with the use of this specific cultural symbol provides imagery for new conversational possibilities to occur.